Eric Silwamba, the lawyer representing president Rupiah Banda on the question of his alleged foreign parentage case say the PF has taken the case to the wrong court. Silwamba says any question relating to the election of the president must be heard by the Supreme court and that all the Supreme court justices must take part and not in the High Court where Wynter Kabimba took it. This is according to papers Silwamba submitted in the High Court Thursday as motion to raise preliminary issues. He intends to argue that the matter is in the wrong court and that the High Court has no jurisdiction, powers, to hear such cases. The PF has taken President Rupiah Banda’s alleged foreign parentage dispute to the Lusaka High Court, seeking an injunction to restrain him from standing as a presidential candidate in the next month’s elections. In papers filed in the Lusaka High Court, the Patriotic Front (PF) of populist Michael Sata is demanding that the MMD must not be allowed to sponsor the head of state as its presidential candidate because his father was not a Zambian citizen but a Malawian. Wynter Kabimba, in his capacity as PF secretary general sued MMD national secretary Richard Kachingwe, the Electoral Commission of Zambia (ECZ) and the Attorney General in its bid to prohibit President Banda from standing. 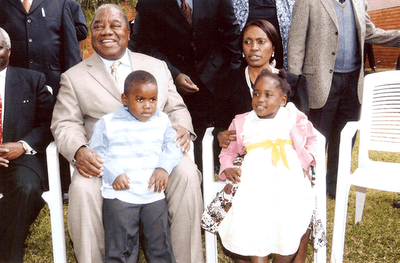 But president Banda´s lawyers are asking couret to dismiss the action with costs to Kabimba.